On Saturday we ran our first ever race as a team of three: Miss K, J Bear, the double stroller and me. But wait, the story doesn't actually start there. It starts on Friday night with the rowdy dude down the street: The one who starts and revs his bike at midnight on a pre-race night and then blasts his music until after 04:30 a.m. - rise-and-shine time for Team Potgieter... Next time he's going to have to deal with a crazy, barefoot, nightie-clad woman giving him a (big) piece of her mind. Just sayin'. Anyway, Will and I tore our tired bones out of bed at 04:30 a.m. (he was doing a long training ride with his buddies) and I auto-piloted through the usual routine: Lunch boxes - check; juice bottles - check; blankets - check; diaper bag - check; double stroller - check. I loaded my two sleepy-head running partners into the car as Will rode off for his long ride, and we made it to the 46th annual Diamond Marathon venue just in time. The 5 and 10 km races started together and after a bit of a bumpy start on a grass field, we quickly settled into a rhythm once we hit the tar. The route (and weather!) was any stroller runner's dream: Flat as a pancake, wind still and cloudy - wahoo! I never looked at my watch once during the race - just tried to keep a hard, but doable pace throughout. And before I knew it, we'd reached the turn-around point (and a very welcome water table!) and much to my surprise (as we were running with the 10 km racers up until that point), we were the first ones to turn around...! I kept on expecting some fleet-footed latecomer to overtake us at any moment, but rather weirdly it never happened - WE WON the darn race!! And as we crossed the finish line, I heard the timekeeper shout out our time: 26:15 - uhm, what?! 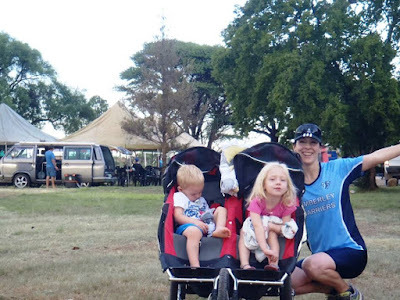 A double stroller PB by two whole minutes. That moment right there... Miss K and I giggled like school girls, while J Bear, in true Bear style, slept through the whole thing. It was perfect. So after months of discouraging runs, puffing like an out-of-breath steam engine on those gravel roads finally paid off. Wow, well done! If I am ever caught running, leave the building because you know it is on fire! 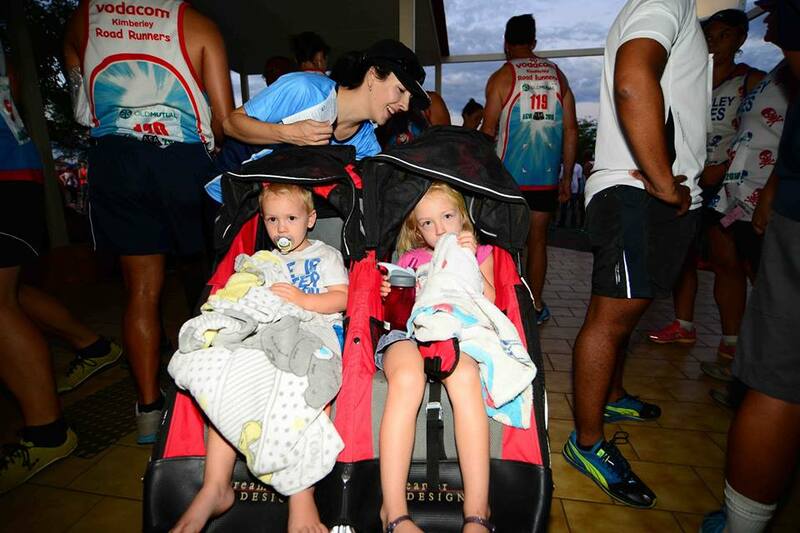 Never mind running with a double stroller. Haha, thanks, Adrienne! 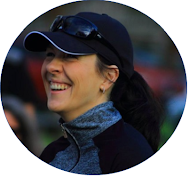 Running is a funny thing: Easy to hate at first, and hard to fall in love with, but once the bug bites, it just doesn't let go! Fantastic! Wow that is a great time, I doubt I could do that without a stroller! Well done! That is awesome to hear. I'm glad you were able to get such a great run in, I can only imagine how awesome you feel now. With a double stroller too? That's awesome. Many congratulations Karien for that incredible performance. 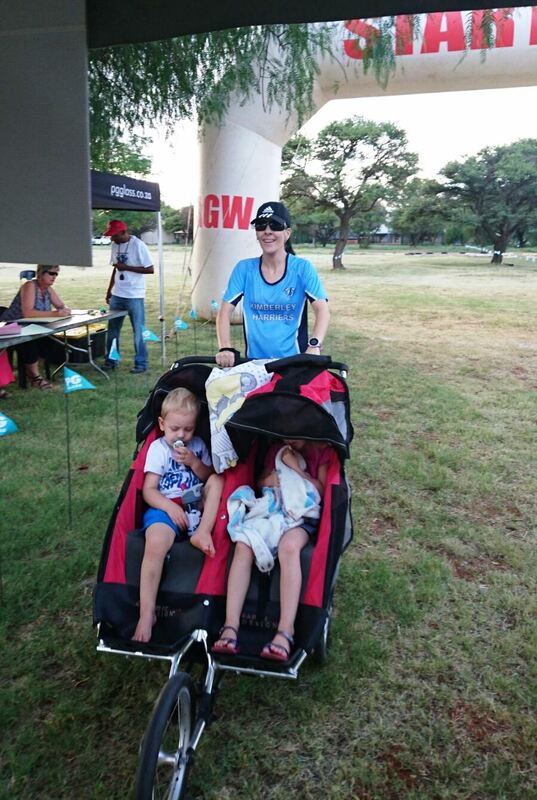 Not only a stroller PB but you actually won the race. Yay, how brilliant is that.. Carry on smiling! Thanks so much, Gordon! Definitely a memory safely filed away under the "Lifetime Highs" tab :). Yes, congratulations for winning the race while strolling along! Thanks so much, Kate and Gavin!